GIGABYTE brings Intel's Skylake architecture to the SOHO segment with a new offering: the 'Basin Falls' single-socket platform for workstations. 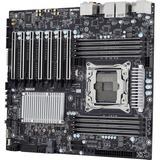 This new build offers a wealth of I/O options, including multiple PCIe lanes to support graphics, and other add-on card options, as well as direct SATA and USB ports. GIGABYTE's precision engineering enables you to fulfil your workstation workload needs with ease. 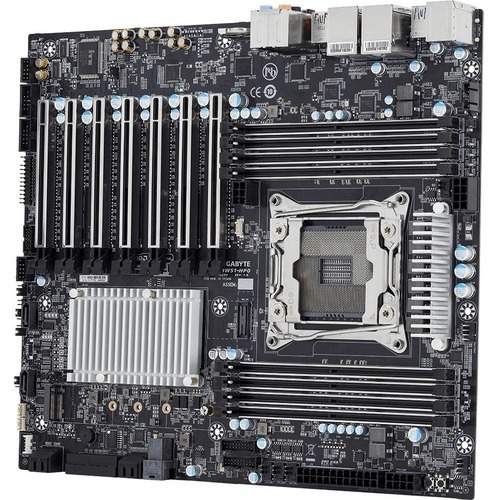 GIGABYTE's Intel Xeon W motherboards are designed to provide serious PCIe options, with options for the fully optimized 100% use of the 48 PCIe lanes available. 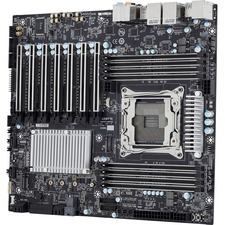 GIGABYTE's engineers have maximized the storage and external connection scope of this board with 10 SATA ports and 8 USB ports. GIGABYTE's MW51-HP0 platforms are designed to support on-board 'M.2' storage devices for time-sensitive operations and leaves room on the standard storage for compute tasks. Delivering up to 32 Gb/s data transfer speeds through a PCIe connection, M.2 offers users considerably faster storage performance than current mSATA devices. Compliant with four different M.2 form factors. GIGABYTE's MW51-HP0 platform is designed to support Trusted Platform Modules (TPM - discrete cryptographic on-board processors).